Vagamon is a destination which has not been explored by many though the scenic beauty, climate and attitude of people favours tourist attraction. This blog is about our visit to this destination on October 27th and 28th to understand the potential and accessibility to send our guests. Before visiting this place most of us had the impression that Vagamon has only meadows to see and is just another location, but our views got changed after visiting Vagamon and its definitely a destination which should be considered during a Kerala tour. A non polluted – No garbage destination is what we can call Vagamon in short. The tour was organised by Tourism Professionals Club (TPC) jointly with Vagamon Hotels association where more than 57 tour operators visited this destination and had a visit to all sightseeing spots, adventurous activities and the accommodation available to our guests to be sent. Vagamon lies 100 km from Cochin towards East – South direction (almost to the direction of Thekkady) which can be considered as a destination for a day tour or for a 1 or 2 night stay tour from Cochin. 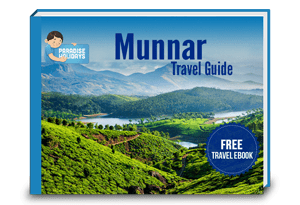 For a tourist who is in Kerala for few days can opt for the route Cochin – Munnar – Thekkady – Vagamon – Alleppey Cochin or Cochin – Munnar – Thekkady – Vagamon – Alleppey – Kovalam – Cochin. To be more precise we can add Vagamon in between Thekkady and Alleppey to the itinerary. We started by 9.30 and reached Vagamon around 1.30 with a stop over of half hour in between for refreshment. We were greeted in Kerala style with Chendamelam at the first hotel. After the welcoming address we moved to the lake for adventurous activities which included sip line, boating, bowl boating etc. The tea plantations spread through out Vagamon with most of the resorts we visited where located inside tea plantations. One can go inside this tea plantations to have memorable photo sessions too. Our visit to most of the good resorts were promising, they are neat, clean with good ambiance. Even the rooms are big enough with tea plantation view from most of the resorts/rooms. A lovely home like treatment is what Vagamon offer now which become more professional once the tourist flow increases. We could get organic food at all the places, the hotels offered us home grown food including different varieties of authentic food. It was yummy – too tasty though. You can either use your own vehicle to visit these places or can hire jeep for a day/half day to visit the destinations. The attitude of drivers were also appreciable. We felt, they all wanted to make their destination one of the sought after tourist place of Kerala. These 50 to 150 feet tall trees is one of the major attractions of Vagamon with many movies been shoot here. You too feel to have a romantic photo session when you enter this cool place. The charm of wind and its murmuring music take you to a different mood. This is another hill which attracts many devotees as well tourists. This is a centre of Muslin pilgrimage. A big rock situated here give name to this place. This is the resting place of Husrath Sheikh Fariduddin Baba a Sufi saint, who is believed to have reached Kerala from Afganistan about 800 years ago is found. Scenic beauty can be viewed from this place, best for photo sessions and romantic times. The only location in Kerala for paragliding, this place provides the unique experience of flying like a bird. Charged at Rs. 3500/- per person this one of a kind experience is a must to do for adventurous people. This is the highlight of Vagamon. Better to visit and enjoy meadows in the evening where you can enjoy the scenic beauty around and the beautiful sun from heights. A must visit for your family to enjoy good time at Vagamon. There are tent camps too available at Vagamon, for those who would like to hug the nature while sleeping. Overall, Vagamon is a destination which should be considered during a Kerala visit or for a 1 day or 2 day outing for a relaxed vacation. 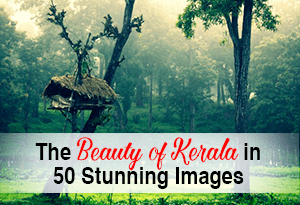 Not far from Cochin we are sure this destination will soon become one of the major tourist attractions in Kerala. We wish and thank everyone who supported us to make this trip a success. This blog is very helpful,who like to travel Vagamon. I had visited munnar many times but not vagaman. Now I have decided to go there.